Dr. Britt-Marie Ljung is a pathologist from San Francisco, California. She has been working in the medical field for more than two decades. Dr. Ljung is a board-certified pathologist in anatomic pathology and clinical pathology and cytopathology. She is also certified in ultrasound-guided FNA of thyroid and breast and ultrasound-guided needle biopsy. She graduated from the Karolinska Institute Faculty of Medicine and continued with two residency stages in anatomic and clinical pathology at the University of California Hospital and the University of California, San Francisco. Dr. Britt-Marie Ljung is a member of several professional organizations including the American Medical Association, the College of American Pathologists, and the California Medical Association. During her career, she received numerous awards including the Award for “Outstanding Lecture and the Award for Best Abstract Presentation by Senior Faculty Member both given by UCSF, the America’s Top Doctors Award, the Yolanda Oertel Interventional Cytopathologist of the Year Award. Dr. Ljung contributed to multiple published studies that covered topics like breast cancer task force testing, thyroid fine-needle aspiration, Paget's disease of the breast, thyroid FNA performance, cytology training and education. 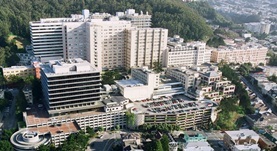 Dr. Ljung is currently affiliated with the UCSF Medical Center and the San Francisco General Hospital and Trauma Center. Dr. Britt-Marie Ljung has contributed to 3 publications. Paget's disease of the breast masquerading as squamous cell carcinoma on cytology: A case report. Vohra, P., Ljung, B.E., Miller, T.R., Hwang, E., van Zante, A.; Diagn Cytopathol. 2012 Nov.
Thyroid fine-needle aspiration: smears versus liquid-based preparations. Ljung, B. M.; Cancer. 2008 Apr 30. Ljung, B.E., Langer, J., Mazzaferri, E.L., Oertel, Y.C., Wells, S.A., Waisman, J.; Diagn Cytopathol. 2008 Jun.